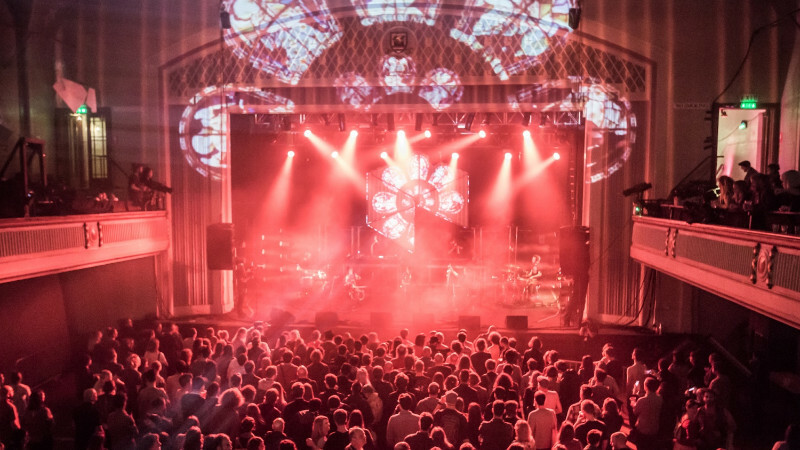 Volunteer-run arts organisation Hidden Door has revealed a diverse music programme for this year’s event, taking place at Leith Theatre from 30 May – 2 June 2019. Following a successful fundraising campaign to secure the future of the non-profit festival, the team behind Hidden Door have opted for a shorter format in 2019, to support efforts to build towards a full festival return in 2020 whilst attracting top live acts to Edinburgh. Thursday 30 May will be presented in partnership with The List, offering an eclectic opening night that once again makes a strong statement of intent to address the gender imbalance rife in UK music festival lineups, with a female-led roster of acts including the groundbreaking R&B star Ray BLK, winner of BBC Sound of 2017, and the universally acclaimed experimental pop duo Let’s Eat Grandma. Bass-heavy hip hop direct from the East Coast (of Scotland) is provided by the all-female rhyme-masters The Honey Farm, with Edinburgh’s underground, electronic duo Chuchoter and notorious Glasgow DJ Sarra Wild bookending the celebratory bill. Saturday 1 June will be announced soon, with organisers promising another nine-hour marathon of top quality tunes and Hidden Door surprises. Tickets are available now via Edinburgh-based ticketing platform Citizen Ticket. Each ticket gives you full access to the venue on the night, including several rooms of visual art installations and exhibitions to explore. Citizen Ticket recently announced a new charity initiative where 50% of their booking fee from each ticket sold will be donated back to Hidden Door, as the first Scottish organisation to benefit from the scheme.